Yoga is said to be an ideal preparation for labor and birth. It is also an excellent way to get back into shape after birth. The reason for this lies in yoga’s approach. In yoga the body is eased into alignment with the awareness of breath. And performing yoga poses with awareness creates a state of calmness. When a pregnant women feels inner clarity, her confidence grows. When she feels peaceful, her anxiety concerning the birth process decreases. The mind becomes involved in the body movements. This focus allows the pregnant women to tune out the distracting forces around her during labor and to respond appropriately to the contractions. Yoga provides a way to refine the movements of body. When first performing the poses, lady may feel slightly awkward and stiff. After practicing them over and over again, the body will stretch, adapt and gradually move into alignment. This is invaluable training, for labor is a very physical process. Knowing where you are tight or weak, and working on those areas, will help prepare the body for birth. Hence, Prenatal(Yoga before birth) and Postnatal(Yoga after birth) Yoga helps to adjust the physical demands of labor, birth, and motherhood. TO KNOW MORE DETAILS ABOUT OUR COURSE, PLEASE CLICK HERE: 30 DAYS 200 HOUR YOGA FOR PREGNANCY TRAINING COURSE IN INDIA. • help you cope with labour pain or experience less pain. • Meditation and breathing techniques can help you relax and cope with stress or anxiety. • Meditation may help you deal with mood swings and increase your sense of wellbeing and self-awareness. • Focusing on your baby while meditating helps you bond with your little one. • Pranayama can train the mind to stay calm and manage pain better, thereby making delivery easier for you. • Relaxation techniques may help to reduce anxiety during labour, and improve postnatal depression. 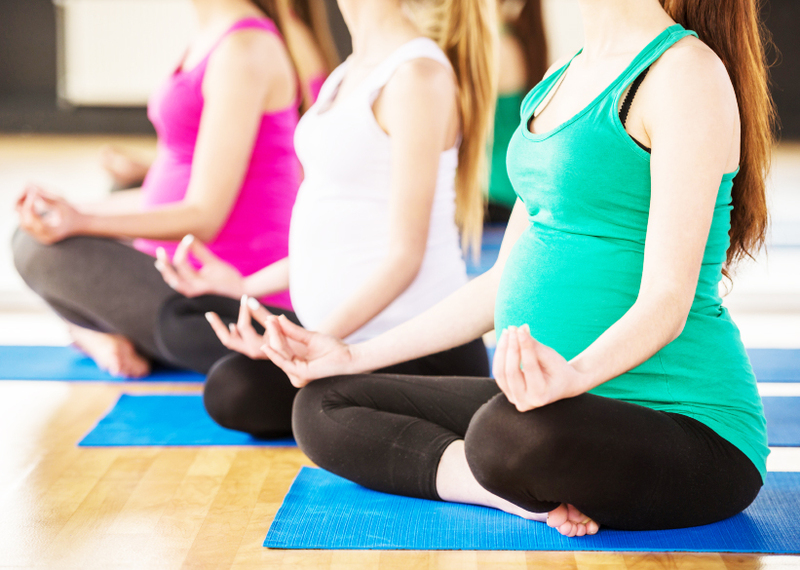 At Om Yoga International, we have well – specialised experts for prenatal and postnatal yoga who teach yoga for pregnancy specifically under their due attention. Our Teacher Training course is held under the supervision of our Ayurvedic Doctor Dr. Avadhesh Mishra. In our course, emphasis is made on how the parents should be pre prepared for the baby. What the mother should take care during pregnancy and even after pregnancy. What precautions she should take physically and mentally, all these things are taught in the class.